Microsoft has this week released a new update for their Bing search engine which now includes search results tied to Siri. Microsoft has inked a deal with Apple to make Bing the default search engine used by Siri with its new Apple iOS 7 mobile operating system and believes that with its Siri integration, users won’t be forced to open up an alternative browser for answers. Other features of the new Bing iOS app update include the ability to see seven trending searches of the day, as well as see a map of local businesses near your current location. Together with the twenty most popular image searches of the day and current weather conditions in your location. Th Bing iOS app now includes a new streamlined sharing feature that enables you to share to Facebook and Twitter apps. As well as the ability to Sync bookmarks and images that you save with the latest version of the Bing Desktop app on your PC and Bing apps on your iPad and Android devices. 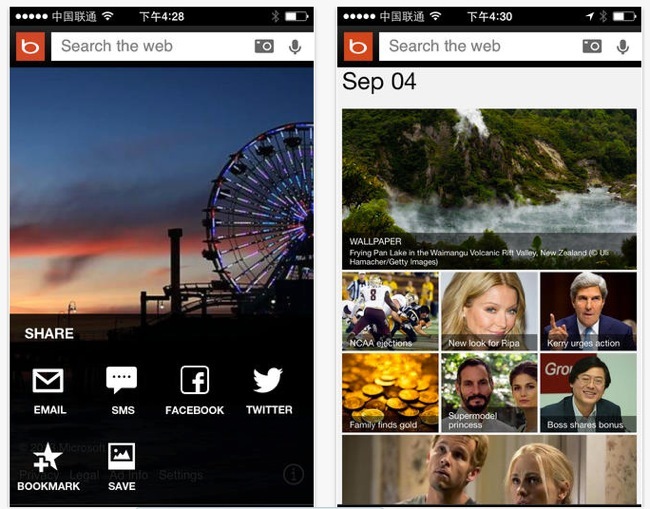 The latest Bing iOS app is now available to download from the iTunes App store for free.